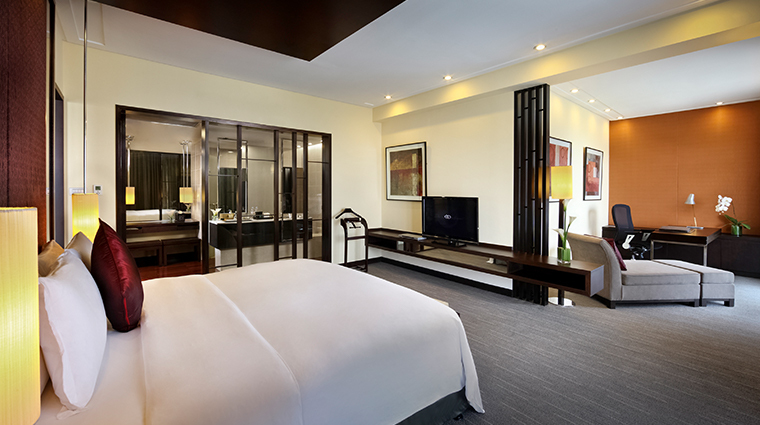 Sofitel Philippine Plaza Manila is a thoughtfully elegant and thoroughly modern resort on the majestic Manila Bay. It was established in 1976 as the first hotel in the Philippines of international caliber and was designed by Philippine National Artist Leandro Locsin. In 2007, global hotel operator Accor acquired the property and turned it into the luxurious bayside retreat it is today. With gorgeous landscapes, lavish contemporary interiors and indulgent spa, it’s no wonder it’s often the hotel of choice of visiting VIPs, from former U.S. President Barack Obama to the Queen of Pop Madonna. • The Sofitel is a sought after venue for high-end events, from extravagant weddings to swanky business meetings and retreats. 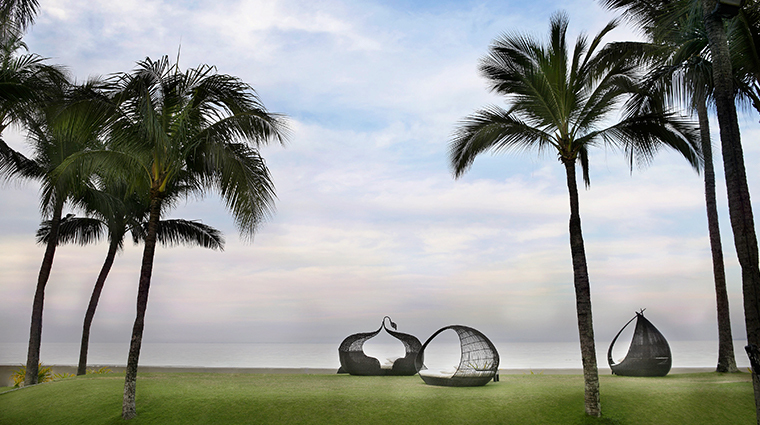 Two outdoor pavilions are fully air conditioned, one with a deck overlooking Manila Bay. • Le Spa is a sultry retreat where guests are eased into utter relation within tastefully designed treatment rooms — splurge on a service in the spa suite where you can lounge on a private outdoor sundeck. Treatments include facials and massages, including the Filipino signature healing technique, Hilot Secret. 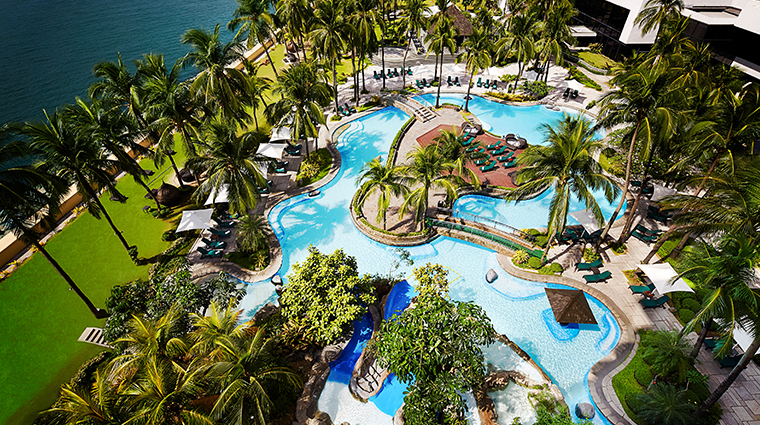 • Activities abound at this Manila hotel — hit the beach, lounge by a lagoon-like pool, play a round at the outdoor tennis courts, workout at the spacious fitness center and practice your gold skills on the putting green. • During a recent renovation, guest rooms got the refreshed look of an upscale Filipino hotel with warm neutral accents for a more laidback vibe in keeping with the brand’s move toward being known as a resort hotel. That said, modern amenities like in-room security facilities and complimentary high-speed Wi-Fi come standard and will continue to appeal to business travelers. • VIPs often stay in the resplendent, 6,050-square-foot Imperial Residence, which comes with the services of a personal butler and has direct access to the hotel’s helipad. It also has an outdoor living area that overlooks Manila Bay, a library and a spacious bathroom with Hermès bath products. • While the Sofitel is located on the beach, it’s also within walking distance of Philippine International Convention Center, the Folk Arts Theater and Manila Film Center. 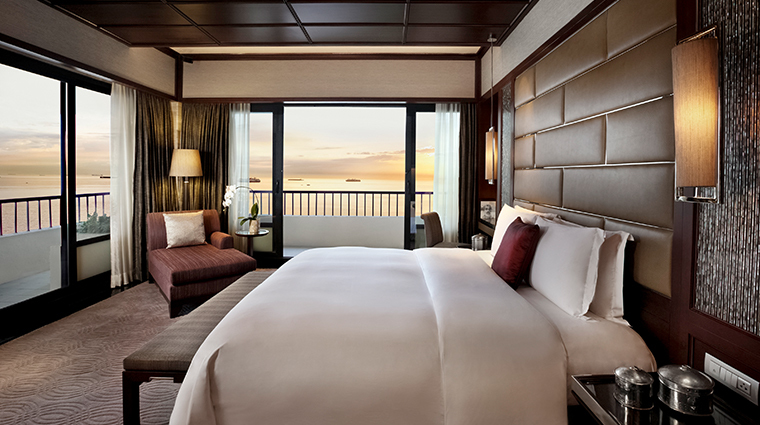 • All 609 guest rooms and suites at Sofitel Philippine Plaza Manila have a balcony, offering an uninterrupted view of Manila and its neighboring cities, as well as Manila Bay. • Rooms start at 452 square feet and feature traditional Filipino elements like capiz and coconut paired with modern efficiency and the French elegance the brand is known for. In the room, guests will find a functional work desk, a 32-inch LED TV with cable channels, complimentary coffee and tea-making facilities, and a supplied mini bar. • Luxury Club Rooms come with access to Club Millésime, an exclusive lounge featuring a library, wine station, meeting rooms, butler service and alfresco dining with panoramic views. 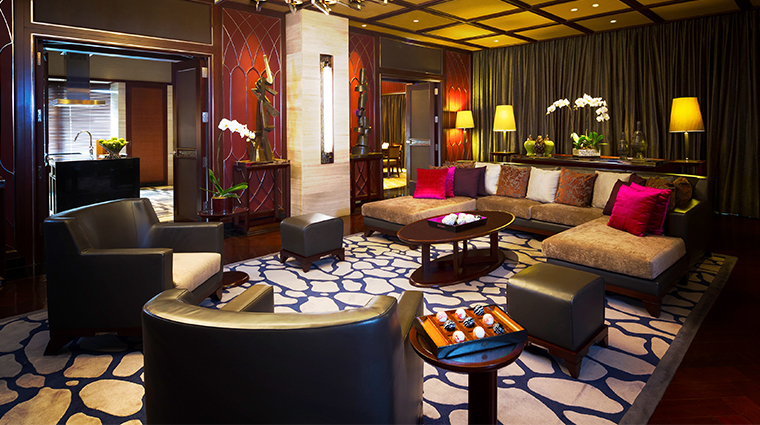 • Choose from five kinds of suites: two Opera Suites, four Luxury Suites, seven Prestige Suites, 32 Sofitel Suites, and the Imperial Residence — all of which give you access to Club Millésime. • Spiral is the luxury hotel’s 26,910-square-foot flagship restaurant, which got its name from the iconic spiral staircase in the middle and features a stunning 21-foot bronze masterpiece by Filipino National Artist Eduardo Castrillo. Since its revamp in 2012, Spiral has 21 interactive dining ateliers, with elaborate food spreads and opportunities to interact with the chefs — for example, L’épicerie is a room with more than 200 different kinds of cheeses from all over the globe. • La Veranda is a glass-enclosed Parisian-style bar reminiscent of 1930s Paris. Order artisan drinks and sip on them at outdoor terrace and beautifully landscaped garden. • Le Bar, with its mahogany interiors and leather seats, offers a cozy, relaxed ambiance to simply have a drink or two while having a tête-à-tête with a companion. You can order signature cocktails, French high tea, wines, cheeses and breads, as well as items on the French bistro menu. • Open 24/7, Sofitel’s Snaps Sports Bar is the go-to place for sports fans with its large LCD TVs, an ample bar for drinks and cocktails, and a full menu of delicious bar grub and gourmet comfort food. • Dine under the stars while looking out at Manila Bay at Sunset Bar. Aside from its culinary offerings and signature beverages, the poolside bar also features local cultural shows and live music on certain days.